Whenever possible, he wandered the streets of New York following his curiosity and making pictures. He encountered his fellow New Yorkers with enthusiasm and respect, and they embraced him. “The reality is that Jean-Pierre Laffont has seen things. Yes, he is one of the most celebrated photojournalists in history, not to mention the founding member of one of the world’s biggest photo agencies (Gamma USA and Sygma Photo News). But strip back the acclaim and the career and you’ve got a man who’s had a front row seat to some of the most seismic moments in American history. And Early Praise for JP’s Newest Book: New York City Up And Down! Jean-Pierre’s work will be on view at the Photobiennale-2016 from February 16th to March 17th in Moscow, Russia. 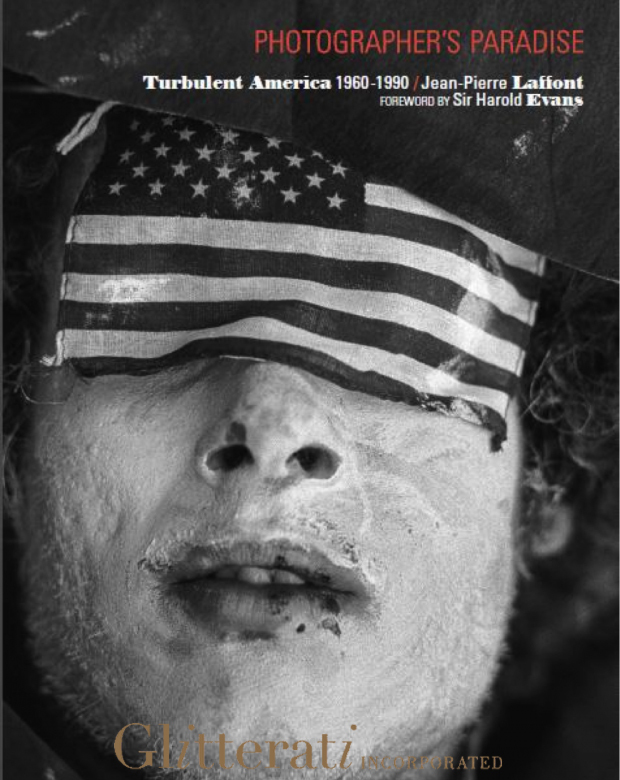 The images are from his book Photographer’s Paradise: Turbulent America (Glitterati). Click here to see the show page. The book cover for “Photographer’s Paradise” by Jean-Pierre Laffont. Photojournalist: a word that evokes adventure. Sparked by the desire to be a witness to his time, Jean-Pierre Laffont embarked on discovering the world in absolute freedom. To cover the news, to tell stories, that is what he wanted to do. For a photojournalist, America was, and continues to be, a Photographer’s Paradise. Manhattan, New York. June 22, 2013. The wall in Jean-Pierre Laffont’s studio, used for editing ‘Photographer’s Paradise’ images. Converting this into U.S. dollars gives a total of $1.20. As a result, questions are being asked as to why purchasing a part of history is less than buying a cup of coffee.